Mobile phone connection wizard finding GSM mobile phone device connected to PC. 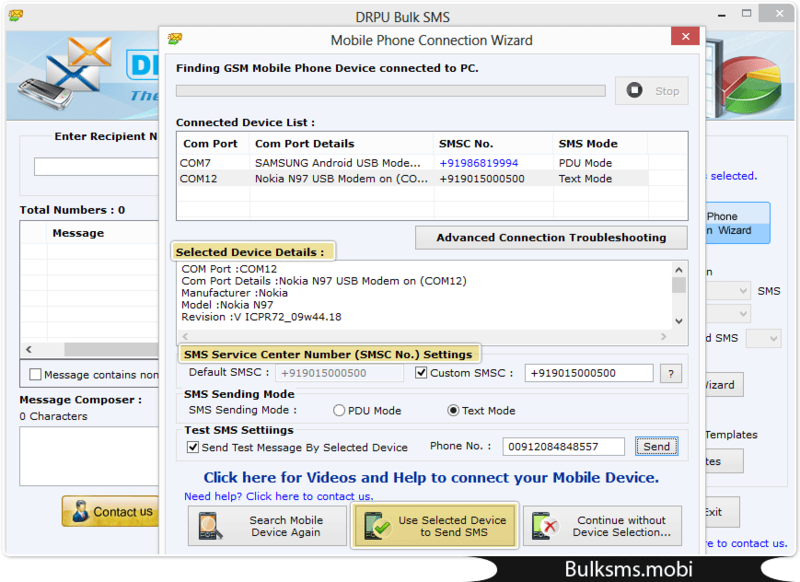 Select device and enable SMS Sending Mode then click on “Use Selected Device to Send SMS” button. 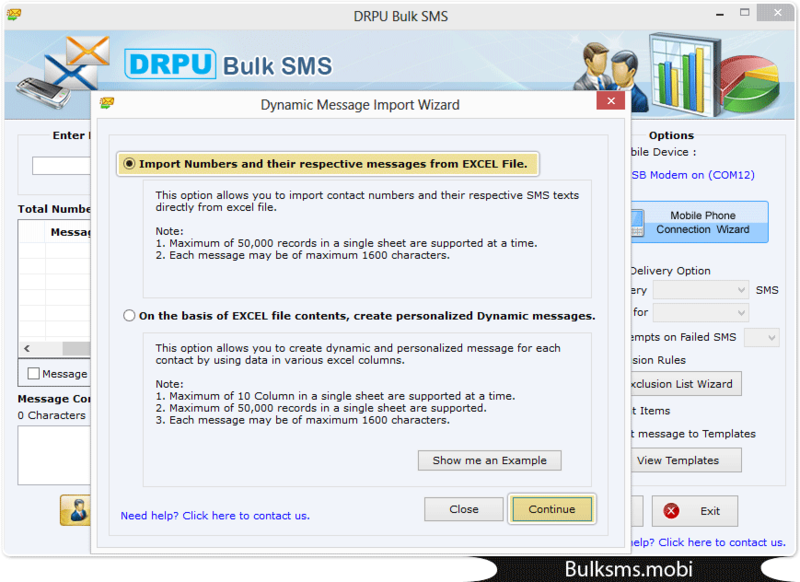 Select ‘Import Numbers and their respective messages from EXCEL files’ option to import numbers and their respective messages from excel files. Currently performing message sending process, it is recommended not to operate mobile device during SMS sending.